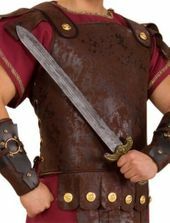 They'll be writing myths about you when you wear this Hercules or Roman soldier costume! 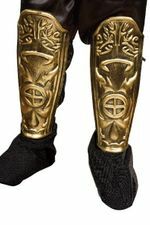 Plus size costume includes tunic, body armor with attached red cape, arm bands, cuffs, leg guards, and headpiece. One Size Plus fits size XXL (up to 240 lbs.). By California Costumes. Sword sold separately. 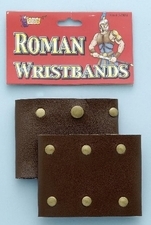 See more Roman costumes in our Greek, Roman and Egyptians collection!